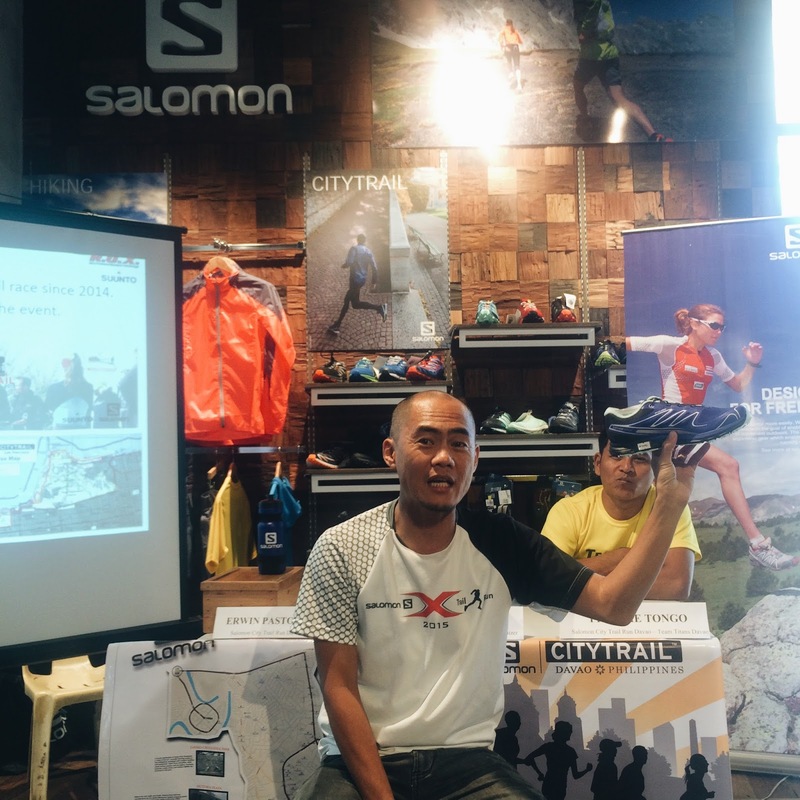 SALOMON brings an interesting city trail run in Mindanao for the first time! This will be a 12 kilometer run on January 31, 2016 at 4:30AM that will start at Rizal Park beside the Davao City Hall to Davao Crocodile Park. "It's not going to be your ordinary fun run." as per race coordinator Mr. Dax Ang. The runners will be passing by famous landmarks in Davao City. "We will have a party at the finish line. ", he said at the media briefing last January 16. Also present in the activity were race director Erwin "Pastour" Emata and Frankie Tongo of Team Titans Davao. 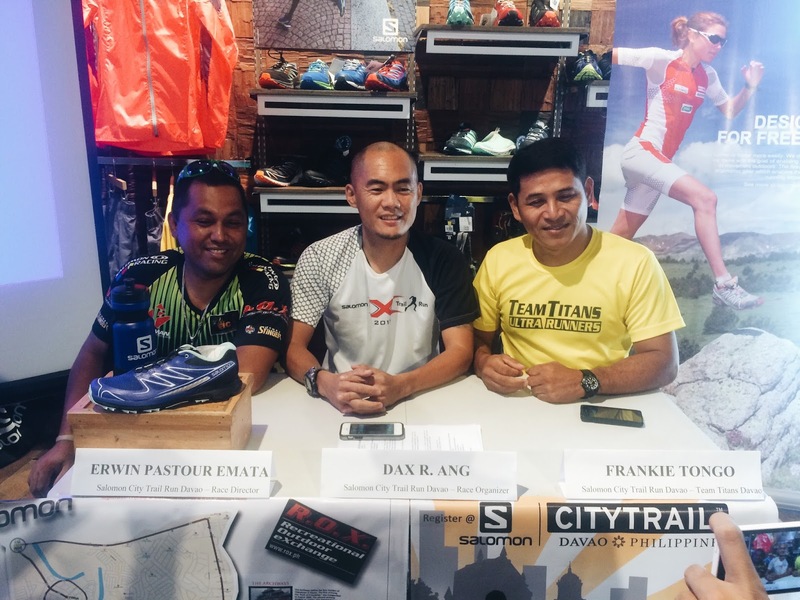 The Salomon City Trail Run has been in Manila for 2 years inside Intramuros. It was created for runners who wants a different trail and surface variations like bridges, staircases, and hills. 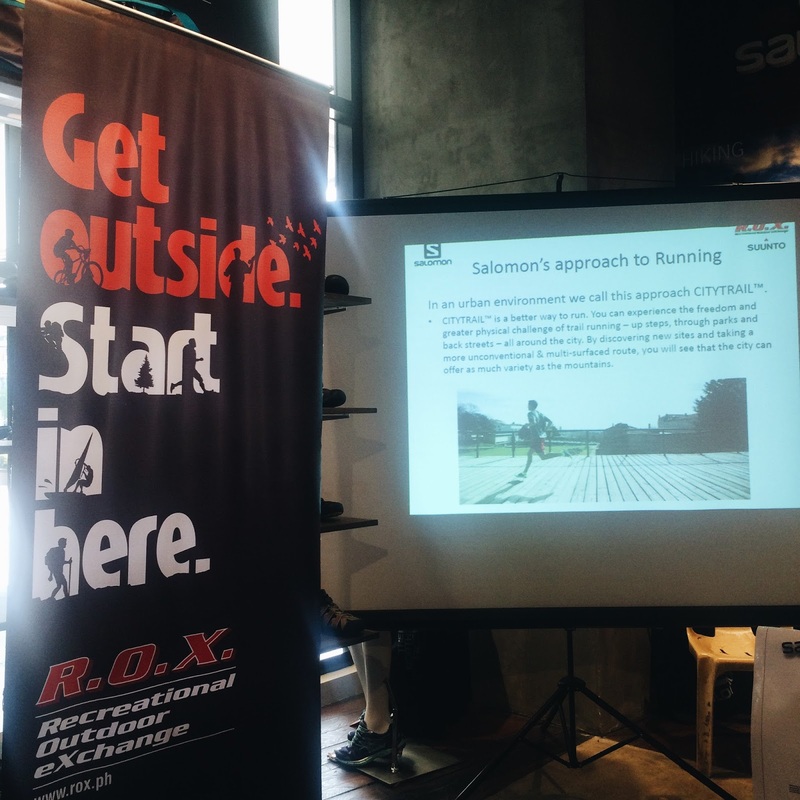 Ms. Mae Sanchez, Marketing Manager of Recreational Outdoor eXchange (R.O.X) said that this will be a green race. The first 100 registrants will receive a Salomon water bottle. There will be no disposable cups at the hydration stations, so all runners are advised to bring their own bottles. Registration fee is at P700 inclusive of a white Salomon singlet, race bib, raffle stub, and free breakfast. First 150 finishers will receive a medal. Here are some of the landmarks that we will pass by during the race. 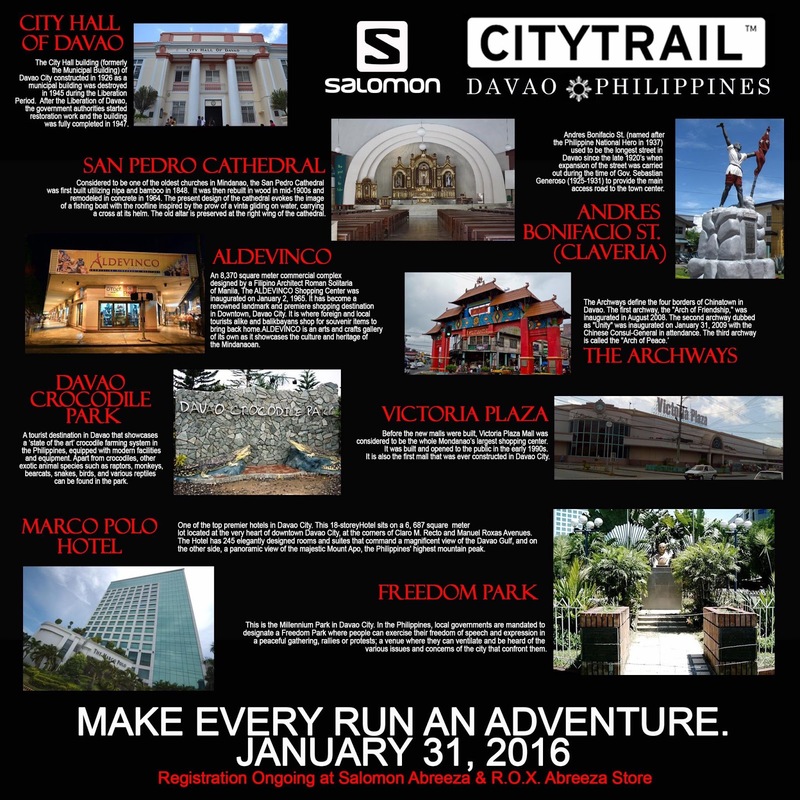 You'll get a 20% off on Citytrail footwear in SALOMON upon registration. Registration is extended until January 25, 2016. 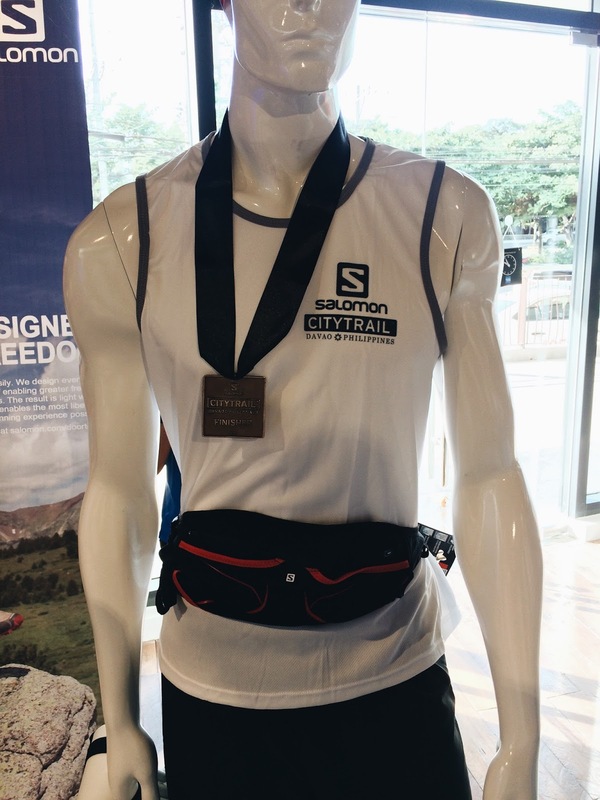 Go ahead to Salomon Shop at Abreeza Ayala Mall today. 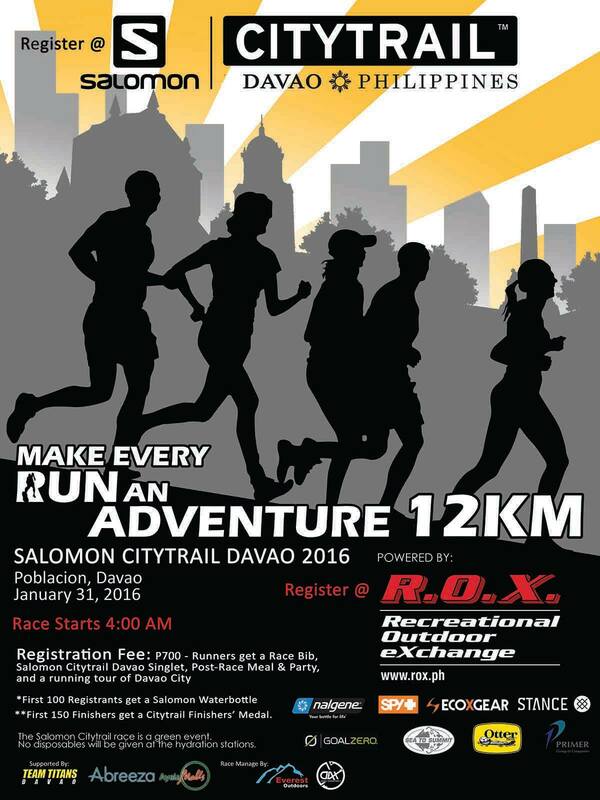 Let's have a healthy lifestyle this 2016 and run with us in the 1st SALOMON City Trail Run. Thanks for dropping by and have a great day! See you at the race!